Over the past week of going through our honeymoon photos, Garrett and I have been reliving some of our favourite moments (and there are lots). When we got to a discussion about Laurel we came to an unanimous decision – it was one of our favourite places we visited on the whole trip. Most of the stops along our trip were to cities – New Orleans, St. Augustine, Savannah, Charleston – and while they all had their charms, there is something to be said for going to a small town, far away from home, and hanging with the locals. They show you the things that don’t show up on tourist maps. So how did we end up in a small town in Mississippi to begin with? 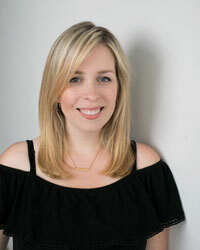 I talked about it a bit in Part 1, but basically through the wonderful world wide web, Erin from Make Something Good Today and I became friends. The 1200 miles spanned between our two worlds disappeared whenever we visited each other’s Instagram and blogs. That’s one of the beautiful things about how the internet has changed the way we view the world and I feel so lucky to have found a kindred spirit. So when we started talking about coming to visit New Orleans as a stop on our honeymoon, she suggested we stop into Laurel to see her and her husband Ben on our way by. 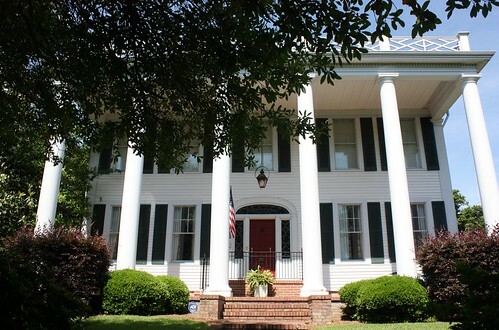 Before we knew it we were booked into the Wisteria Bed & Breakfast in their town and planning to spend a whole day together exploring their hometown of Laurel, Mississippi. I’d already fallen in love with this town through her blog and now to see it in person with the best tour guides around was a real treat. 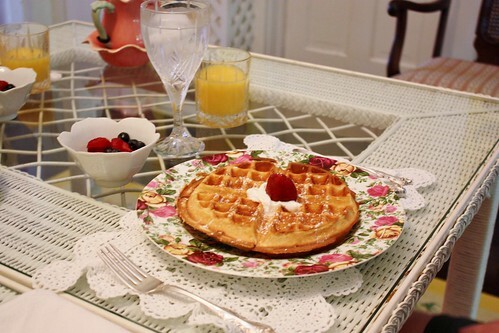 I should start by talking about the beautiful bed and breakfast we stayed at. 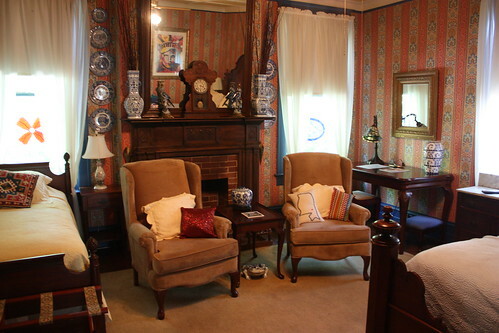 Our original plan had been to stay at a hotel, but when Erin told us about the Wisteria Bed and Breakfast and we saw how reasonable the rates were, there was really no other choice. Just look at how lovely it is! The owners, Peggy Schneider and Earl Schneider were incredibly sweet and the best hosts. They made us feel right at home. Our room was huge, with a giant king size bed, twin bed, seating area and a private hallway and washroom. I loved all the fun details throughout the room – it had so much character! The next day I started walking around to take it all in and I was overwhelmed with the Southern grandeur. It looked like something out of a movie. 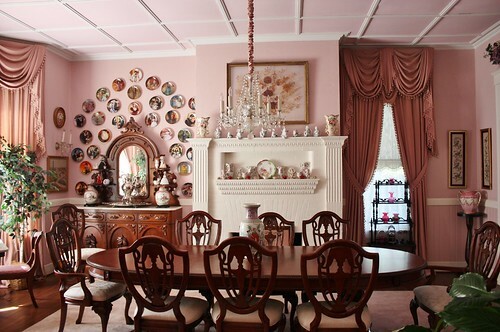 Do you see that plate collection on the left side of the fireplace? 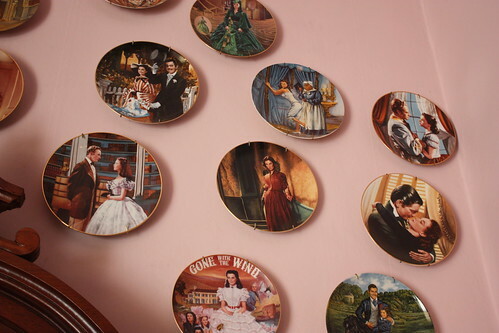 When you get up close, it is an collection of commemorative plates from Gone With the Wind. 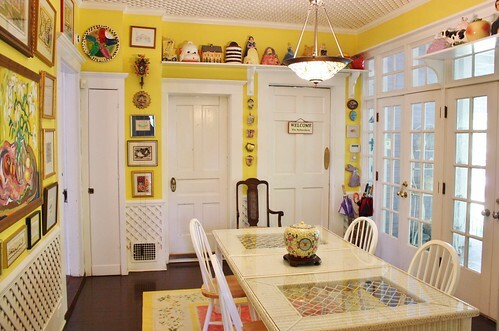 Breakfast was served in this bright and colourful sunroom. Earl made big fresh waffles with lots of maple syrup, fruit salad, bacon, sausages and orange juice. We ended up having breakfast with a couple from Wisconsin celebrating their 30th wedding anniversary. It was a great start to our day. After breakfast, we walked over to Erin and Ben’s house to start our tour around town. 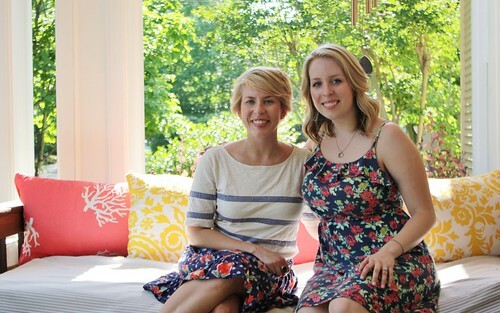 It was so fun to see their home in person too after reading about it on the blog for so long. 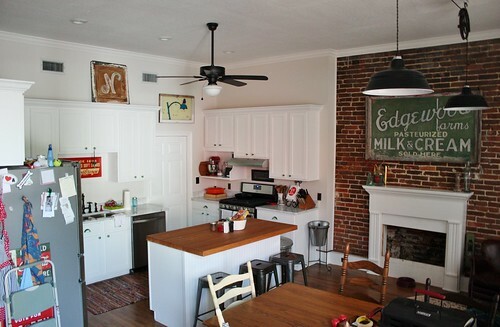 The second you walk through the door, it feels cozy and inviting. Whether we were standing around the kitchen chatting or sitting out on the porch, it has a welcoming feeling in every room. You can see why it’s been in magazines! I’ll be sharing more of it in it’s own post soon. 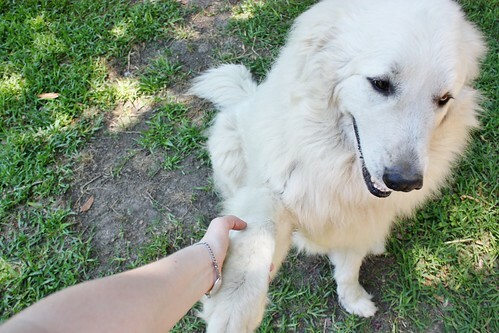 We also got to meet their super cute Great Pyrenees dogs, Chevy and Baker. Chevy was hiding behind the shed because there were loud sounds nearby with the construction of their new workshop, but I got to spend some time with Baker. I involuntarily got to experience his famous “hand shakes”. He just kept his paw in my hand like this for a solid five minutes while Garrett and Ben talked about the new workshop, and if I let it drop, he’d hold it there until I picked it up again. He is just the sweetest thing. We started walking around town and I had to stop every two minutes to snap a picture because there were just so many beautiful, well cared for homes to take in. Our tour guides gave us the background for almost every home we passed. 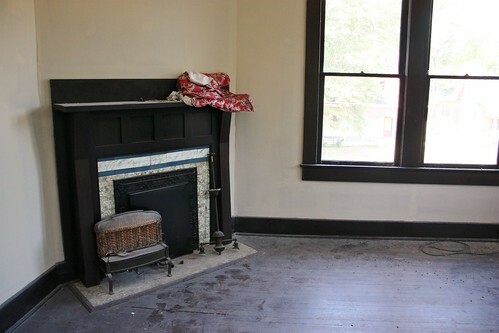 They knew who lived there, what they did or the history behind the home, which was fascinating. When do you ever get a walking tour of a town like this? We spotted these gas-fueled lanterns all over the South, but this is the first place that we saw them on the trip. Before then, I’d only seen them in Canada in the Historic Distillery District or at Black Creek Pioneer Village. 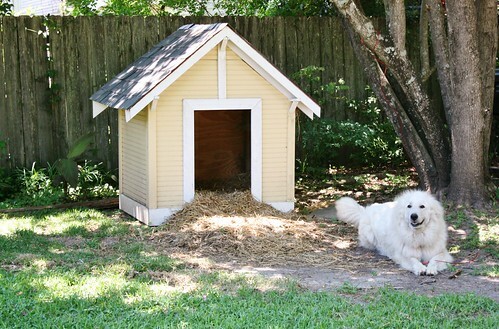 I never realized that people had them for their houses too! Lush foliage and flowers were everywhere. 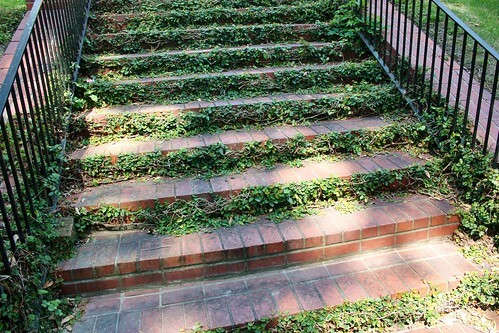 We still didn’t have anything very green back at home yet, so this was such a welcome sight – springtime! 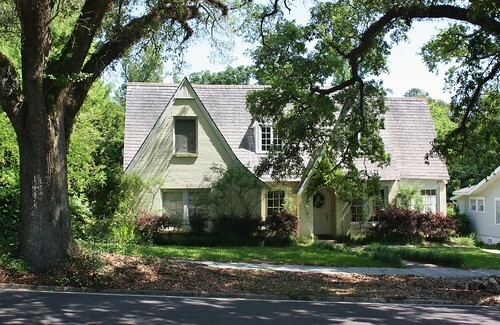 How cute is this English style cottage? We walked by this house that was being restored and went up the steps to take a peek in the window. One of the workers was across the street and spotted us snooping, so he came over and let us go inside to take a look around. I still couldn’t get over how nice everyone was there. 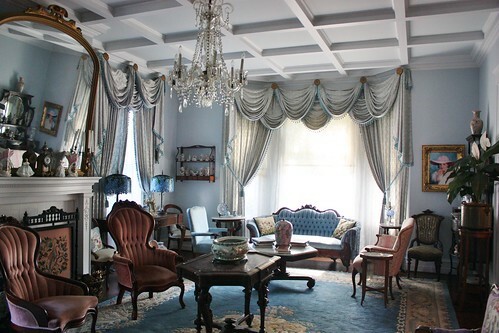 The home is owned by a local man who has taken it upon himself to lovingly restore buildings all over town and rent them out. It was great to see amazing homes like this one being returned to their former glory, rather than torn down for something new. Along the way, we saw Gardiner Park, designed by Frederick Olmstead, the same man who did Central Park in NYC and the grounds of the Biltmore Estate in Asheville, NC (which we ended up visiting at the end of our trip). 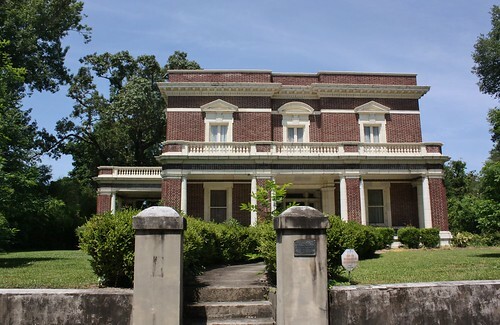 We walked by the Phil S. Gardiner Home, built in 1910 and is fireproof. Gardiner’s previous home caught on fire and I guess he wasn’t going to let it happen a second time. 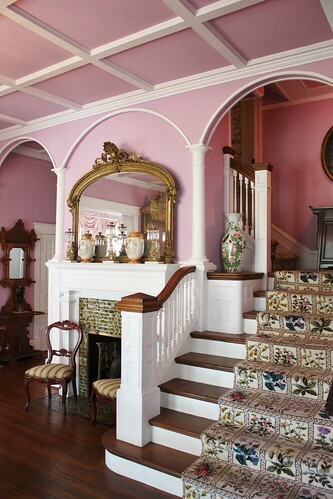 The beautiful banister on the upper balcony was damaged in Hurricane Katrina and has since been repaired by masons brought from overseas. I had no idea that the damage reached this far up from the Gulf. 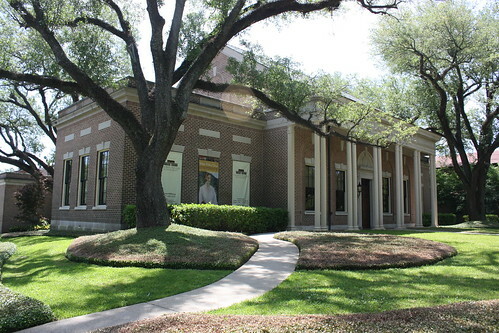 St. John’s Day School – a private school right downtown. 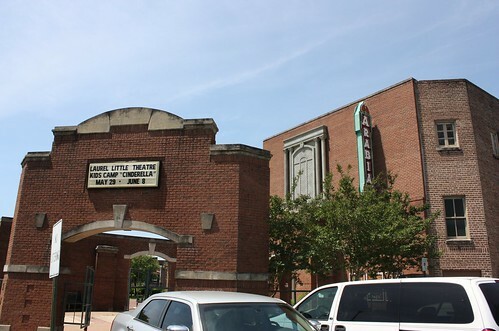 The Arabian Theater – the local theatre group performs here, as well as fun movie nights! 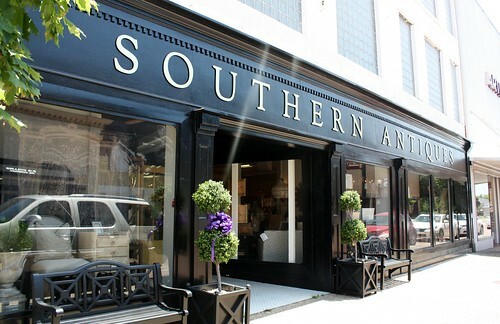 We stopped by Southern Antiques, a gift shop/antique store with so many interesting finds. I could have spent a lot of time going through everything there. We stopped for lunch at Cafe La Fleur, a New Orleans inspired restaurant, and met up with Mallorie and Erin’s mom Karen. Garrett tried his first crawfish po’ boy and I had grilled chicken with the most perfectly prepared vegetables. I always wish I could get my vegetables to be that tender-crisp way that they do them in restaurants. It was great to sit around and chat about what we loved seeing in Laurel and how much it is different vs. the same in Canada. After lunch, we headed over to their friends Emily & Josh’s super cool apartment, above one of the shops. 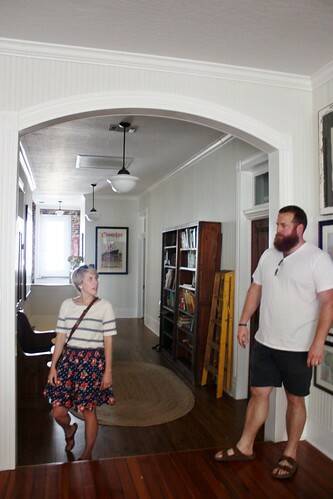 Look at those huge ceilings – keeping in mind that Ben is something like 8 feet tall! Every corner of their apartment had something cool to look at and I took lots of photos to share with you all later. It inspired me to start looking for more unique pieces at flea markets and auctions. Then we stopped into Phillips Drive-In (PDI as the locals call it) for some drinks to go – milkshakes for the gents, cherry sprites for the ladies. We drove around town, including a stop into Emily and Josh’s new home. I think my jaw hit the pavement when we got out to look around. 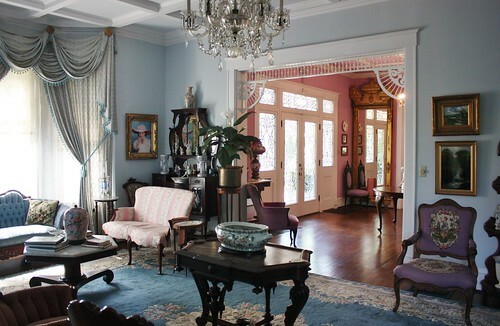 It was like a beautiful white washed Italian villa – in the middle of Mississippi. The pool! It has all the makings of a great space to entertain. I could have jumped in right then. If I lived here, I’d probably shrivel up into a prune after spending all my time out in the water. We made our way back over to Erin and Ben’s place and we were just about to leave when they spotted their neighbour, George, across the way. They told him we were in town for one day and would love to go to the Lauren Rogers Museum of Art in town but it was closed. Wouldn’t you know, he offered to take us over there and show us around himself. We basically got a private tour with the museum director himself. While we were in the museum’s store we spotted a copy of I Live in Laurel, a lovely story about a little girl who lives downtown and learns the history of Laurel while walking around. Erin’s mom Karen co-wrote it, with Adam Trest’s illustrations (who we randomly ran into on the street) and Erin’s design work. 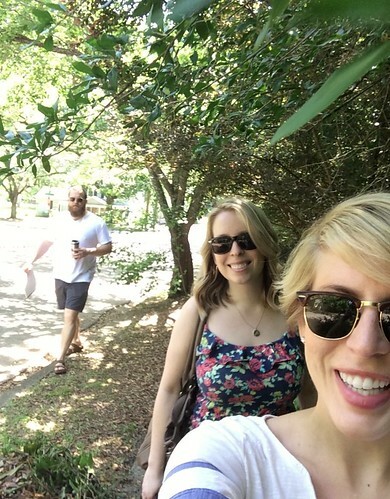 The little girl in the story is inspired by my other Laurel friend Dawn‘s daughter and has people in it who we saw during our visit, like Mr. George who hangs out every day at Lee’s Coffee & Tea House and there is even an appearance of Ben as the Loblolly Festival lumberjack. Even though this was our first time meeting in real life, it feels like we’ve known each other for a long time. These relationships we develop together online can turn into real friendships. Don’t get me wrong, I truly wish we lived down the street from this gal, because I’d love to get the chance to hang out more in person, but I’ll take a friendship like this any day. I was so thankful that these guys got along well too – and for the first time ever, Garrett looks short in a picture. Like many small towns across America, Laurel was hit by hard times too, but the great thing about a town like this is that you can see how everyone is working together to build it again – and stronger. It was so inspiring to see people (including young people!) 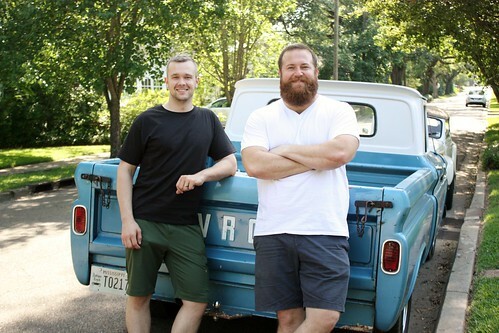 taking on these projects, restoring homes, working with the Main Street organization and running events like a farmers market, Third on Thursdays, music series, movie nights, Loblolly Festival and even a pumpkin patch in the fall. These are the things that keep small towns going – this is Americana at it’s finest. 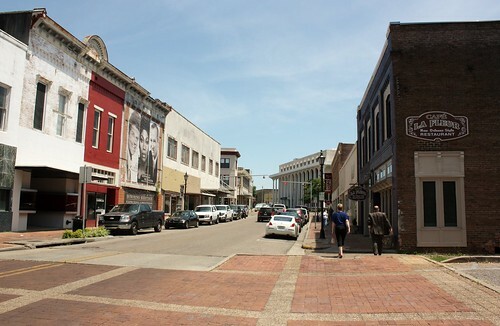 If you’re ever able to, I strongly recommend a stop into Laurel, Mississippi to see one of the loveliest towns I’ve ever had the pleasure of visiting and meet all the kind and hospitable people who live there. I kid you not – twice we had people stop us on the street and asked if we were the Canadians visiting Erin and Ben. Yep, it’s that kind of town. For more pictures if this beautiful town, check out my Flickr album! This is such a great post!!! 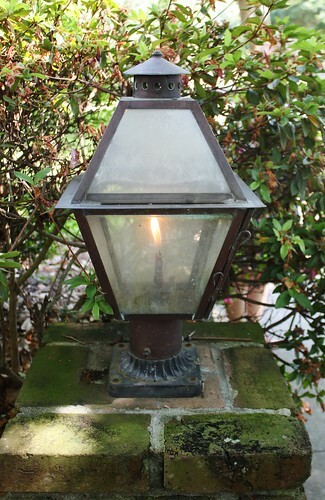 Thanks for shining such a great light on our little town… It was nice to look at it from the outside. What a wonderful post. When you are born and raised in a town you don’t notice the nice things anymore they are just “there”. I loved seeing your beautiful photos and was glad to see you were taken care of by such a wonderful young couple like Erin and Ben. Peggy at the Wisteria House is one of my favorite people! I hope you can come again someday. I really enjoyed this article and especially the photos. I grew up in Laurel and was a grade behind Earl. Our parents were very close friends. My father was the principal of Jones Jr. high School. One of my daughters still lives there. Great place to grow up in during the 50’s. I plan to share this with lots of friends. We are so glad you got to tour our apartment! We wish we had been able to be here to fix you some lemonade or tea, but you’ll just have to plan an anniversary trip back to Laurel to take us up on that offer… and see the new house once we move in! This was a great article! 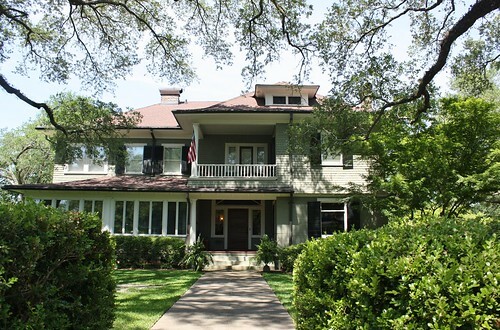 I was delighted to see “1307 Homewood”! I was John Jeffries’ legal assistant for almost 30 years, until his death in October 2012. John and Julie were sweet people. 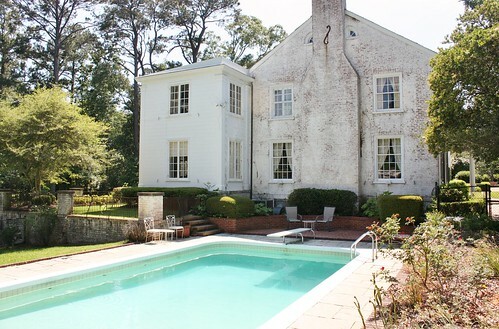 During the summer every year, John always invited me to bring my children to swim in that beautiful pool! I am so happy “Homewood” will have a new family moving in soon. It has been empty too long and has so much love to give!! I was born in Laurel and later lived there as an adult for several years in the ’70’s. (I taught remedial reading at St. John’s Day School, so it was fun to see it in your blog.) Laurel will always have a special place in my heart and I’m glad you had an opportunity to experience it firsthand! Thank you!!!! We have recently moved here to Laurel and fell in love with this beautiful town!!!! We are from Texas originally and moved here due to my husbands job! I love driving though the streets and seeing all the beautiful homes and we discovered a beautiful church right in the middle of downtown, Agape, everyone in this town is so nice and welcoming to us outsiders, I feel like I’ve been here forever!!!!! 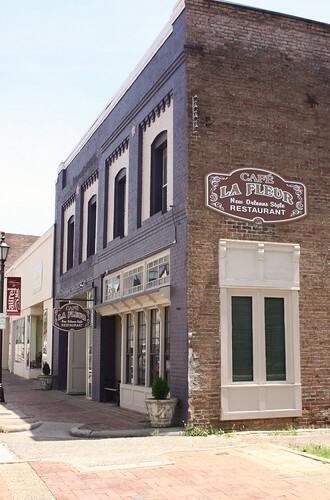 Cafe Le Fleur is one our favorites and PDI makes the best shakes and hamburgers!!!! What a wonderful article! I am from Laurel too. I grew up down the street from your friends, Emily and Josh’s, new house- in the first house when you enter Homewood. In fact, my cousins lived in the house your friends just bought and other family members lived in many of the other houses you photographed. You may have seen my great-great grandmother’s basket collection at the museum!! I love Laurel and really miss it (I live in Dallas now) but I try to make trips back so my twin 3 year old twins can learn about their family! Laurel is near and dear to my heart . Thank you for taking the time to write about it!! Wonderful post of my hometown. Live in South Alabama now but spent the first 50 years of my life there. Great to see the historic homes and sites Of Laurel are being so well taken care of. You never forget your hometown ! Lots of great memories. This is fabulous. My sister and I love the Avenue’s. 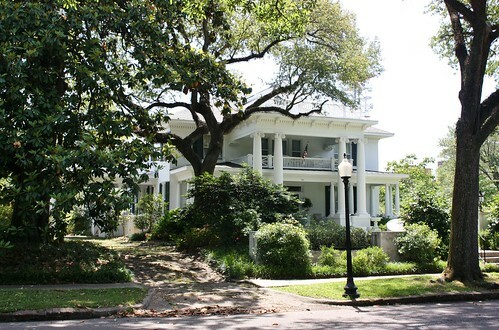 We drive around regularly to admire the beautiful homes. Growing up here they were always such a place of grandeur to us. Its like going back in time. We have a beautiful little city. I love your comments about the City Beautiful! I was born here, but like so many, I moved away. But never for one second could I call any place I have lived home. I was born in the 1950’s. So I missed the era of the streetcars, but grew up in the era of small town innocence. And Laurel is my home. Many of my classmates are retiring and coming home and so many young people are coming back and restoring Laurel one house or loft at a time. I learned to ride my bike in Gardner Park, it was my play ground because it was just a hop, skip, and a jump from my parents business. It is a friendly little town, and I think anyone would enjoy spending a few days just to wander around and take in the beauty of the City Beautiful. It is a treasure to those of us who have so many perfect memories. I’m glad to see people enjoy our town as much as we do. I’ve always thought of Laurel Ms, as the perfect place to raise my children, and this is why my family and I live here. I been offered numerous jobs all over the country, but I can’t leave home. It is truly a magical place. What a beautiful tribute to our hometown!!!!! 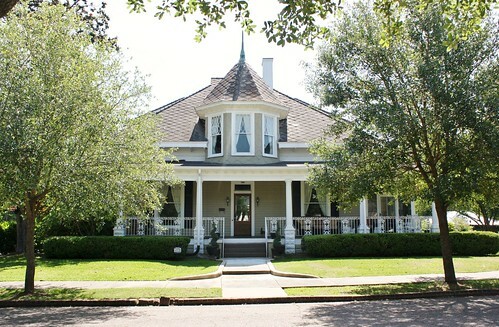 We always stay at the Wisteria B & B when we go back for our high school reunions from George S. Gardiner High School. The reunions are also a walk down memory lane. I am THRILLED that you had such a grand time in that wonderful historical city! I found your article about your visit to Laurel on a friend’s Facebook post. I was so happy to see that one of the photos you took was of my Grandparent’s home. (The green tiled roof on 6th Ave.) Their names were Richard and Virginia Boteler, now owned by Andrea McDonald. What fun their 17 grandchildren and 35 great grandchildren had playing in our Nannee and Peepaw’s big yard. The same home where they raised my Dad, his two younger sisters and little brother. My Grandmother lived there until her death at 98 years old. It was a magical childhood. I went to pre-school and taught at St. John’s Day School and our daughter’s both attended school there and danced the Maypole! I am proud to have been an active part of the Museum for several decades and you had the best tour guide possible with George! Every photo you shared have memories of special friends and family who live/lived in those homes. Laurel is truly a place where everyone knows everyone. You perfectly captured how we current and former Laurelites feel about our beautiful little gem of a town. Even though my husband (we started dating in High School) and our two daughters (all of us born and raised in Laurel) moved from Laurel to TX in 1999, we still tell people our hometown is Laurel. When God calls us home one day in the future, Laurel is where we will be laid to rest, beside the generations of family members and friends who went before us. Thank you again for the kind words and beautiful pictures of my beloved Laurel. I am and will always be a proud Laurelite and Mississippian and I am so moved when visitors see my home first hand and find it to be a warm, friendly, beautiful state! What a wonderful walk down memory lane for me. 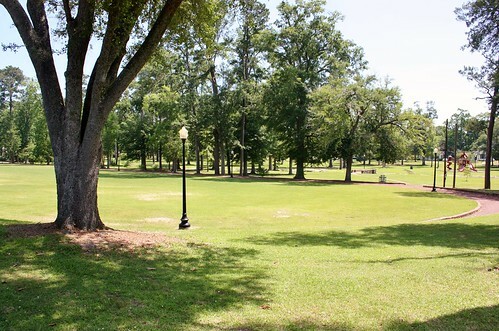 I love Laurel and have always lamented that my grandchildren did not have an opportunity to grow up in such a wholesome environment and lovely time like the 40s and 50s in Laurel, Mississippi. I love Laurel, period. I went to St. John’s and cried when I wrapped the maypole because I didn’t want to leave there. I remember every single one of my teachers I had from kindergarten to 6th grade. I knew Erin when we were younger and I’m really happy she showed you the Laurel we all love. I left there in high school but I’m just right down the road in Hattiesburg and still get a little teary when I drive thru. 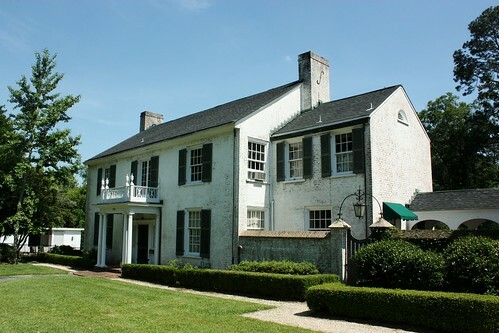 My husband and I (both originally from MS) had our wedding in Laurel at the Rogers-Green house across the street from the museum. 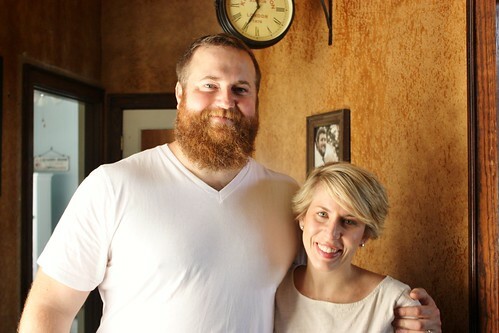 We took wedding pictures at the B&B where you stayed. Some of our wedding guests also stayed there and loved it. Love the downtown area of Laurel and all the old homes. So nice to have someone say something so positive about their trip to South Mississippi! Thank you for this wonderful article!!! I moved to Laurel when I was 11 and we lived in the Gardiner fireproof house. 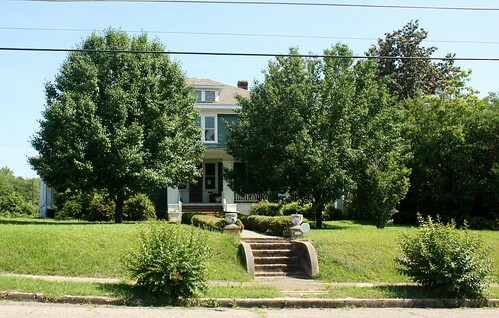 It had a working elevator and a 4th floor skylight…fun childhood home for sure! 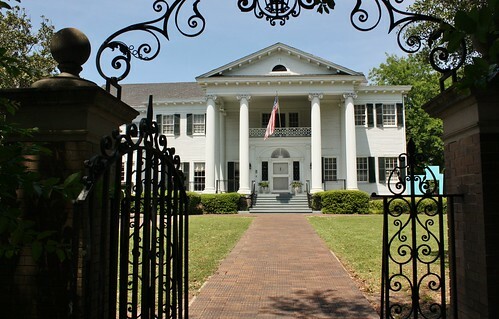 My lovely sister in South Alabama has emailed your gorgeous photos & commentary of my hometown, Laurel, Ms. All of your comments are lovely, as well as the photography. I was born there & lived for many years only l/2 block from Jones Jr. High, so I had NO excuse for ever being late for class! My husband & I were married many years ago, so we were relocated to AL. after he graduated college at Southern, Miss. This has been a perfect trip down Memory Lane for me. My sister & I have visited Laurel several times within the past few years, but even then I did not appreciate the special feelings for “our town” which you have so perfectly captured. So – thank you from the bottom of my heart. One of your posts mentions that residents of a special place do not appreciate their surroundings. since they are living each day & the special atmosphere fades into the background. So true, and you two have refreshed my memory of Laurel & have made me want to go home again – soon! This was truly a post to be shared with our children & with a special cousin in Portland, Oregon. We are only 5-l/2 hrs. 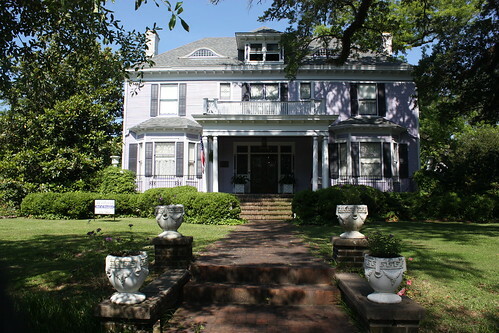 away in North Alabama, so perhaps we can stay at the Wisteria Inn. Much to my dismay my husband was transferred to Laurel shortly after we were married. I remember crying for days because I had to leave my friends and a job I loved in Jackson. We knew 3 families in Laurel who welcomed us with open arms. The David Sisson family (incidentally David and my father were roomates in Clarksdale where I grew up…b4 they married) the Judy King family and the James Dickey family. I secured a job at St. John’s where I met our best friends in this world, Betty and Billy Taylor AND my dearest friend from college, Lindy King Penny moved back to Laurel with husband Bill after living in Texas. We had a great group of friends and belonged to a wonderful church, First Methodist. We became immersed in the church, community, and our jobs, thoroughly enjoying every minute. Then our children were born and all of us were raising our kids together. Those were THE best years of my life. Not only is Laurel a jewel of a town but the great folks who live there make it even better. Well we had to leave Laurel and that was many years ago but I still tell people that if my husband came home and said we were moving back to Laurel I would have my house packed up and bags packed and would be in Laurel by midnight!! This is a great trip down memory lane for me. I was born and raised in Laurel until I married in 56. I still have strong ties to Laurel, good friends and a few relatives. I loved seeing many of the beautiful old homes, and especially seeing my old home that I grew up in on this tour. I only had to walk across the bridge on Euclid Ave. to get to school at the Jr. High School, and just a block further to Gardner High School. Even now, I would love to take this live tour through Laurel. Growing up here was like living in a Europa. It was a time long past that no longer exists. I was truly blessed to grow up here in this lovely town. Laurel is a beautiful place and thanks for sharing your pictures. My Dad did catering and custodial work for many of these beautiful homes and places that were pictured. There is so much history in this small town, just google famous people born in Laurel. There is no place like home. Glad you had a good time. I was born and raised in Laurel, only to move to Ala. for a few short years and move back. My Mom still lives there. It truly is a beautiful small town, unique setting and southern hospitality. I moved to Atlanta and then Toronto and Vancouver and settled in the northwest. But my memories of Laurel and friends now near and far…always bring me back home and to the wonderful times there. Walking to the swimming pool from my grandmothers’, having root beer floats after school, hanging out after high school with friends at PDI’s. The library , the museum, the beautiful homes are all reminders. It was great to hear your story and your enjoyable stay there. Welcome to Laurel. I was raised just down the road from Laurel in Meridian MS. I have lived here 20 plus years after marrying my husband who is from Laurel. I tell people all the time you couldn’t chase me away from here with a stick. We all love our little town. Thank you for shining a little light on our beautiful part of God’s country.